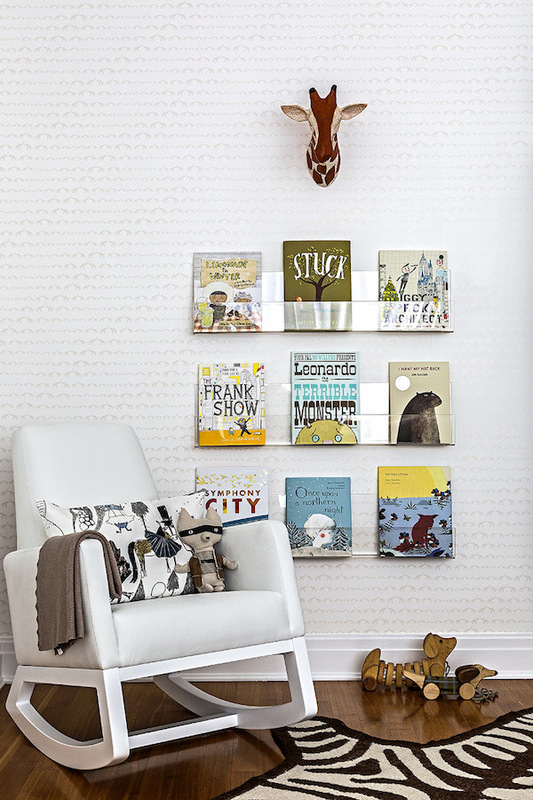 We adore a bookshelf that puts a few choice covers on display like artwork. 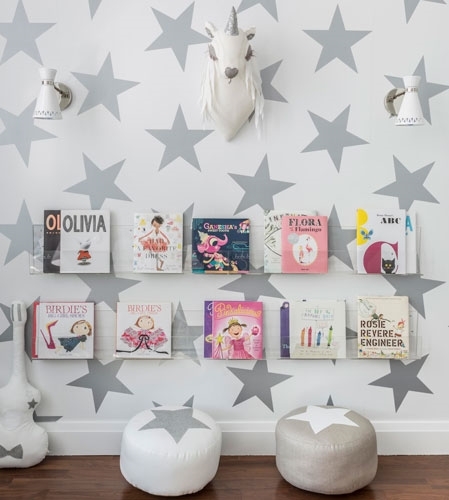 These clear acrylic shelves give the room a grown up feel even as they adorn the walls in book cover art meant for children. This room was designed by Sissy + Marley, spotted on 2modern. 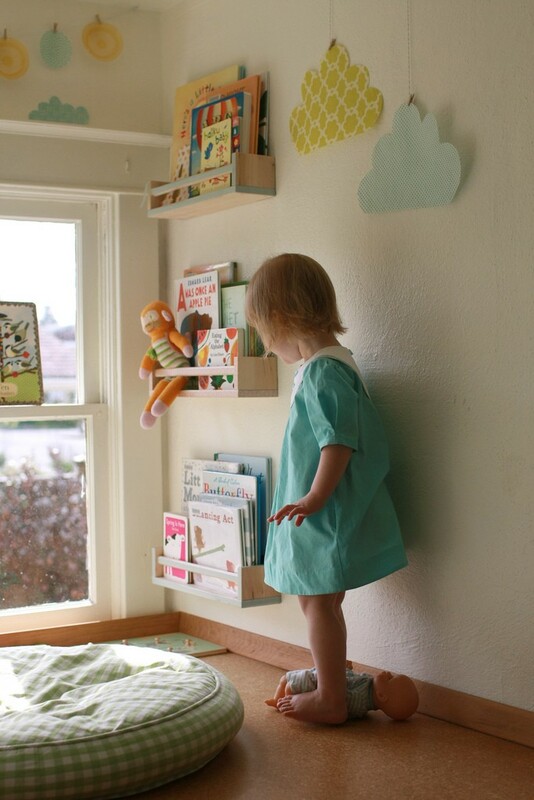 They use the same shelving to awesome effect in the star-strewn room below. This dreamy shelf offers the same display for one or two favorites, especially effective in a small room. 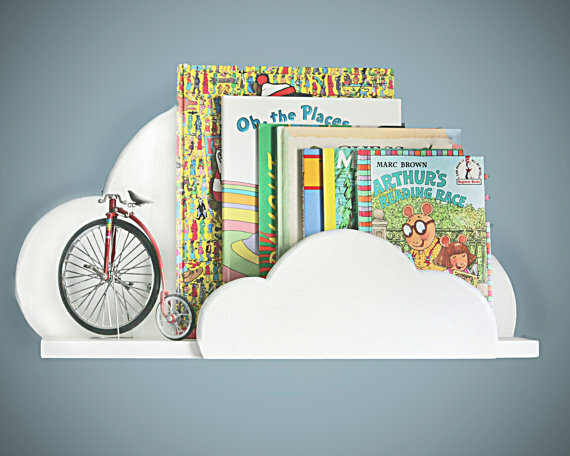 This Cloud Shelf comes in small, medium or large ($50.50) as well as blue, gray, or white from ShopLittles on Etsy. The $3.99 Ikea Bekväm spice rack as bookshelf is a tried-and-true hack for kids rooms. They look so sweet on a wall here in Supergail‘s reading nook, or save space when attached to the sides of a dresser or changing table. Turning a bookshelf on it’s side and adding a cushion to create a little reading nook is a sweet way to bring books and coziness together. We love this gold-hued nursery look from Better Homes and Gardens. 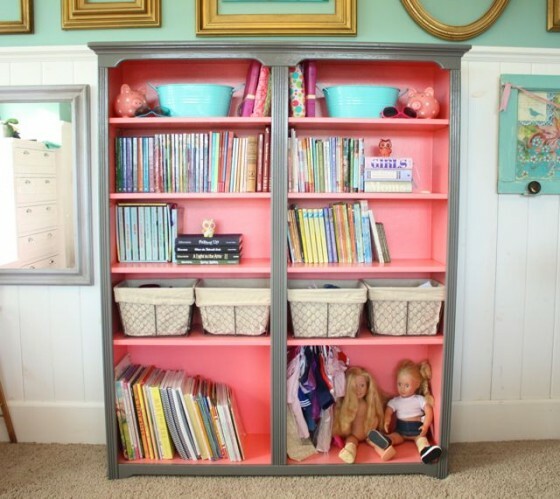 Updating a bookshelf with contrasting colors inside and out is always awesome. We love this sophisticated coral and gray makeover from The Pleated Poppy. 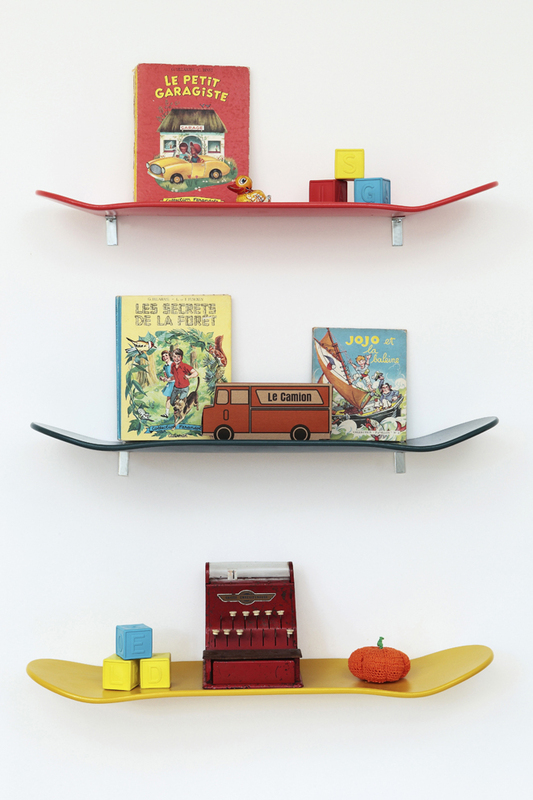 We love these skateboard wall shelves from Leçons de Choses for a little dash of sporty fun. I love the shelves displaying individual covers!